A giggling young boy runs bare-assed naked from his home to visit a friend, a few houses down the street. He zips down the middle of the road – passing a brightly painted house with a cat quizzically watching from a fence. 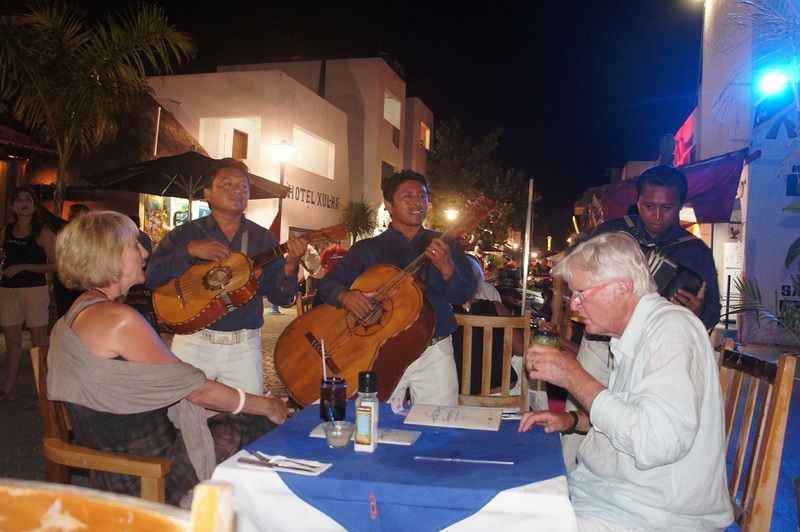 ﻿ A group of Mariachis stroll Hidalgo Avenue strumming guitars, enticing restaurant guests to pay for a song or two. “A little musica?” the lead player asks, hope lifting his voice into a question mark. An eight-foot-tall Johnny Depp look alike struts on stilts hovering over groups of prospective customers. “Come have dinner with us.” He implores, pressing a small advertisement into friendly hands. 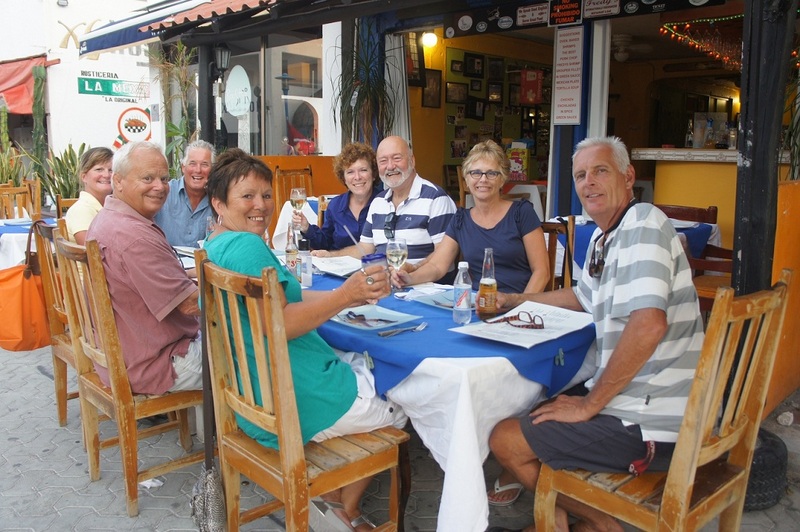 Expats gather to share a dinner, a glass of wine or a cold beer – one last time before everyone scatters to their northern homes. We prattle on in English, not struggling to communicate with a mixture of English and Spanish, laughing knowingly about a shared experience, a delay, a frustration, and the fun, oh so much fun. 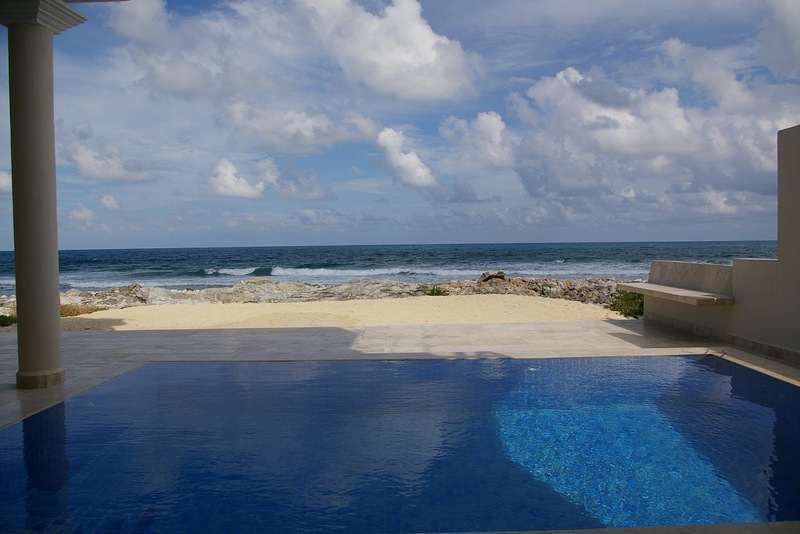 We have now lived on Isla Mujeres full-time for nearly four years. Our first experience was not as home owners, but as tourists in May of 2002. 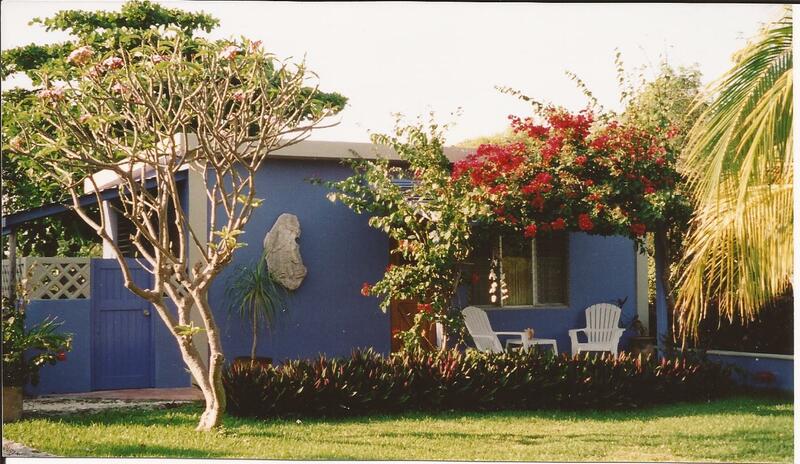 We rented a charming little cottage via the internet for one week on the west side of the island, at Villa Makax. The after-dark taxi ride from “Centro” led along a bewildering series of dark streets, curving roads, and a potholed-almost-not-a-road, eventually arriving at the property. The cottage was situated on a very private piece of land with a beautiful sandy beach and two congenial hosts – Steve and Lindell Leher – who have since become island friends. For the second week, we had not made any advance reservations and eventually settled on moving one block down the street to the small luxury hotel, the Villa Rolandi. The Villa Rolandi provided full-on pampering with gourmet dinners, an infinity-edge pool, and bar service anywhere on the property. Steve and Lindell on the other hand, well, we never quite got them properly trained to magically appear with a glass of wine, or a cold beer. Perhaps if we had stayed longer they would have been trainable? 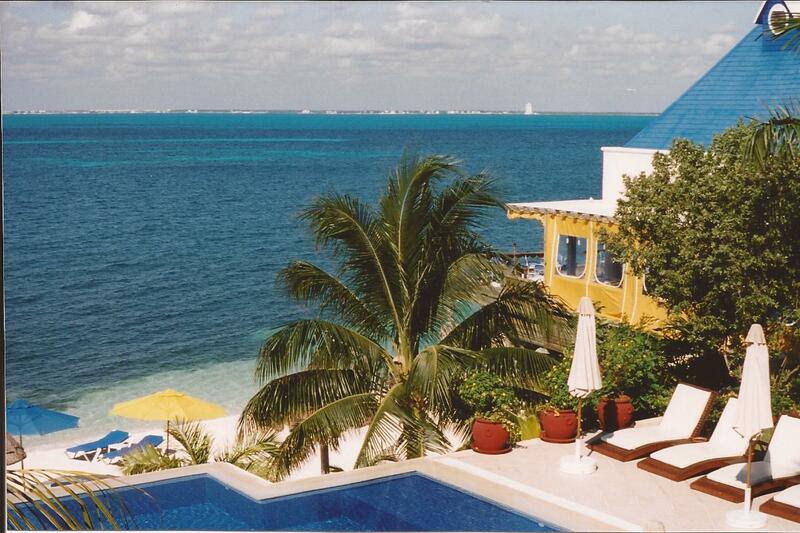 A few years later we returned to Isla Mujeres, this time we were cat-sitting for family members while they returned back to Canada to deal with personal business. We stayed at the house they had rented on the eastside of the island. There the breeze is constant, the waves are larger, the beach not so sandy, but the slightly cooler temperature were perfect for us. Several years later we built on the windward side of the island for just that reason – cooler year around temperatures. We are still discovering and exploring. Two days ago we found a new lane, a undiscovered twisting sand-strewn road that lead us to a different view, a new layer, a different texture. Lynda, your writing is wonderful, such a lovely story (all your stories!). Happy Anniversary, I say to Cal often when reading your blogs or facebook posts, how happy you two are! It's so refreshing to see! We'll be down in less than 8 weeks, hope to see more of you than we did this last visit. We spent our time showing our friends who WERE newbies around. Thanks again for all the work you do on your blog, and the beautiful photos, so we are able to enjoy them. Wow! Thank you Janet. Please get in touch when you are here.